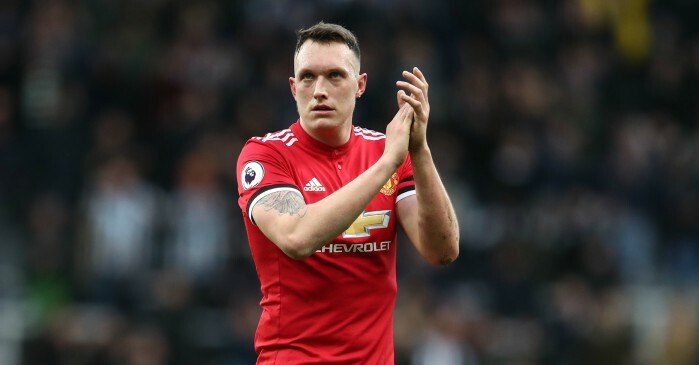 Manchester United defender Phil Jones has sent a warning to Premier League leaders Manchester City insisting that the title race is not yet over as they can be caught just like the Citizens overhauled United in the title race six years ago. Manchester City have looked invincible so far this season prior to their 4-3 defeat away at Anfield on Sunday, but losing their first match of the season in the Premier League shows they have weaknesses as their 15 points lead was reduced to 12 points following United’s 3-0 win over Stoke City on Monday at Old Trafford. The Red Devils are the closest among the chasing pack and Phil Jones still remembers when they were in the same position as comfortable as the Citizens six years ago, only to miss out on the Premier League crown on the final day of the season by virtue of City’s superior goal difference. In Phil Jones first season at Old Trafford, the Red Devils were 8 points ahead of City in April with six games remaining only for the title to end up on the blue part of Manchester courtesy a dramatic late goal from Kun Aguero against QPR. “Football’s football, never say never,” He also added. “I remember in my first season we were eight points clear, absolutely cruising, (everyone thought there was) no way we’d let the lead slip, and we lost it on the final day. With United closing in Chilean forward Alexis Sanchez in a direct swap deal involving out-of- favor midfielder Henrikh Mkhitaryan who is expected to head in the opposite direction, the Red Devils chances of closing the gap on City has received a huge boost given his reputation as one the best players in the Premier League. While the Citizens are coasting to the Premier League title in style after enjoying a magnificient first half of the season, but should the Premier League leaders get too comfortable by stepping their foot of the gas and United go on to have a scintillating second half of the season, we might be in for another epic.